Welcome to Calendar where life is sweet, but death is murder. When news arrives that the dead woman was nothing that she appeared to be, the whole town is instantly enthralled by the concept of having an actual jewel thief in their midst. Even more puzzling is: where did she hide her stolen treasure? 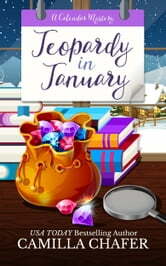 All Sara must do to save the library is simply solve the murder, find the hidden jewels, and convince herself not to succumb to the one man she would rather see run out town. 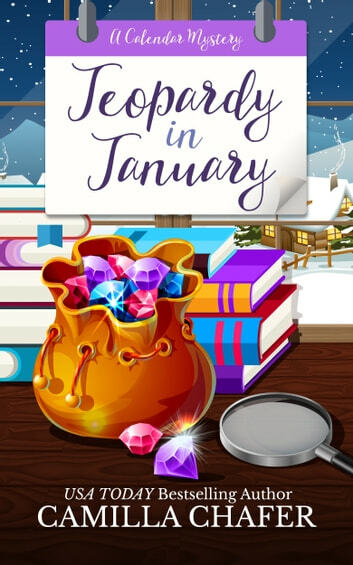 It doesn’t take long before she realizes that amateur sleuthing isn’t as easy in real life as it is in the stories she loves to read. Twelve cozy mysteries... one deadly town! Start to another great series by Ms Chafer. As always great characters and story. Looking forward to the remaining months.